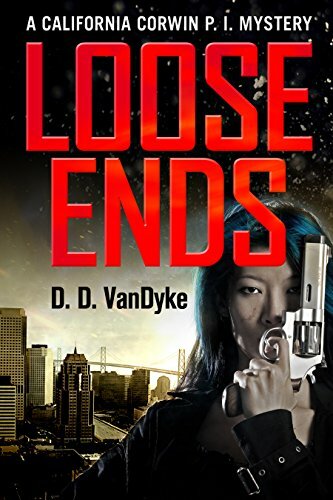 “Loose Ends was a great read, if you’re looking for a solid mystery this is a book worth your time. I was hooked by the story from the very beginning and I barely put it down until I finished it.” – Melissa V.
When a young girl is kidnapped, street-smart but damaged San Francisco ex-cop California “Cal” Corwin is engaged to find and rescue her before murder raises the stakes. As a straightforward case takes unexpected twists, Cal must quell a growing fear that an anguished mother may never see her child again. With a shadowy crime lord lurking behind every unexpected clue, Cal struggles to tie up loose ends before evil claims its next victim. Dog rescue in central California (Gaia, Sydney, Matilda & Gabriella) – Please share.